From mining to agriculture, many industries rely on conveyor systems to quickly and efficiently move materials for processing. Over time, belts can wear down and conveyor rollers can lose friction, rendering a conveyer system less effective because speed and stopping are more difficult to control. Keeping the grip on your conveyor rollers in good condition is of vital importance, especially for industries that work in harsh weather conditions or humid environments where losing friction is a greater hazard. Tunco Manufacturing’s abrasive coatings are the perfect, long-term solution to ensure that your belts stay firmly in place. 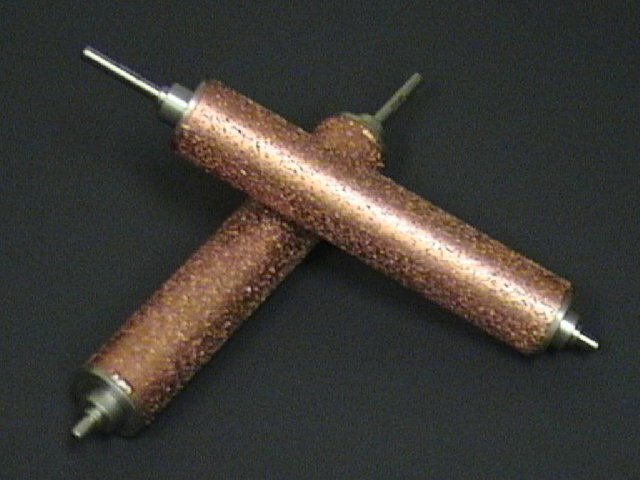 Whether you need Tungsten Carbide or our patented Di-Carb coating, we can apply custom abrasive coatings to your conveyor rollers based on your particular needs. Our customers know that they can come to us with an engineering problem and we will usually find a solution! Contact us today or request a quote.